Ok, thanks. I thought it reads the speed of the car from somewhere else. 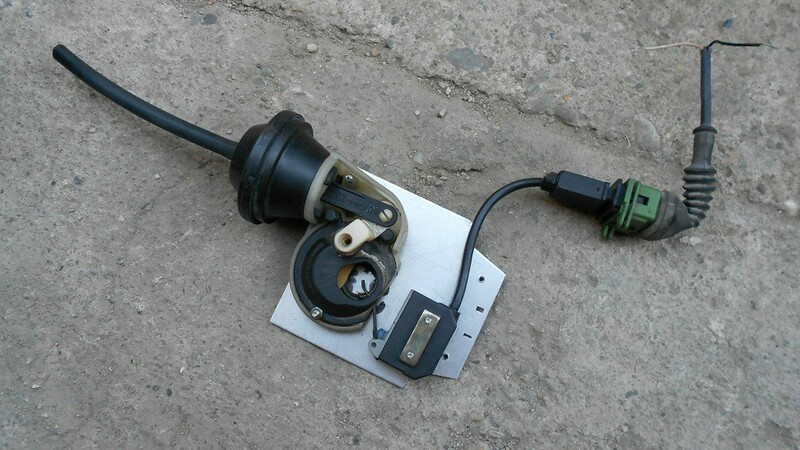 The ABS sensor will be checked when the car comes back from the painter . Next on the to-do list: abs sensors checking, oil change, new belts, new wheels, interior cleaning. 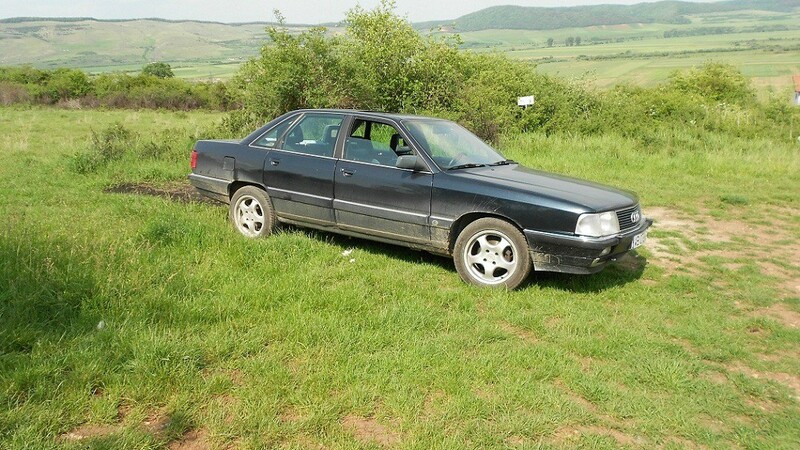 Also, is it possible to change the thread name from "Converting a 1990 audi 100 (NF engine) from FWD to AWD" to something like "My 100 NF" ? ABS works ok now(a wheel sensor was loose), it got new filters, belts and oil. Most of the things remaining to do are small cosmetic things. Edit: Three times a year, there`s a fest/cometogether/meeting/party here nearby Munich. Next is @ start of May- How about that? Finally the interior got washed...it looks a lot better now(sorry for the crappy phone pics). Today was a very sad day, it literally made me cry....the body of the quattro was sent to the scrapyard. I bought a chinese Vag-Com interface for my fathers A4, and i also bought a OBDII to 2x2 adaptor for the NF. Any tips on the NF possibilites of diagnosis or any adjustment that can be made using the interface? The NF has a memory for the fault codes or the fault codes remain in memory only until the engine is switched off? 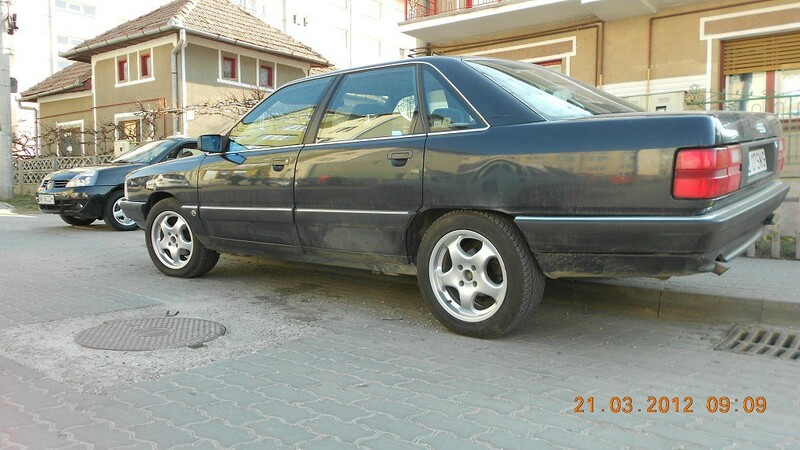 Mario20v hat geschrieben: Yup, its a "sleeper"
Is there a thread around here about that car? I searched a bit but I couldn't find anything. mcquattro hat geschrieben: Today was a very sad day, it literally made me cry....the body of the quattro was sent to the scrapyard. kicked me of the road. I have another question . Soon I will have to change the headliner because it is loose and if I will get down the headliner anyway, I was wondering if it's easy to convert the manual sunroof to electric. Would i need something else besides the electric motor and the switch panel? This parts are pretty cheap on ebay. About that 100 Avant V8, I saw a couple of pictures. Besides the engine It also had the facelifted V8 interior(with the climatronic similar to the ones from 100 C4s) and some bigger brakes. The whole car looked in mint condition. Really impresive. In this picture it looks good but I was wondering how would this look live. Are the scales iluminated even or some parts will be brighter? because the dials are printed on a orange plastic foil. I know that the V8 got the "2 screen" AC after the minor facelift . 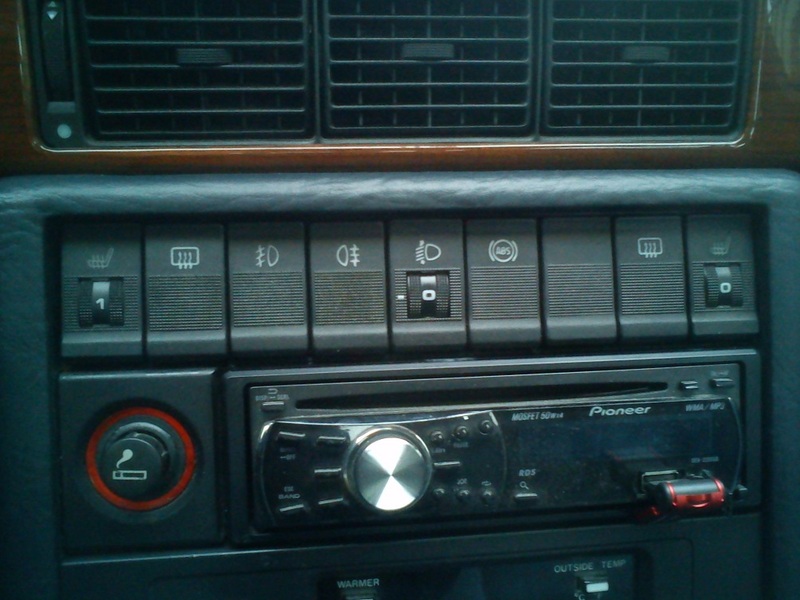 mcquattro hat geschrieben: I know that the V8 got the "2 screen" AC after the minor facelift . nope, on the foils are "printed shades". 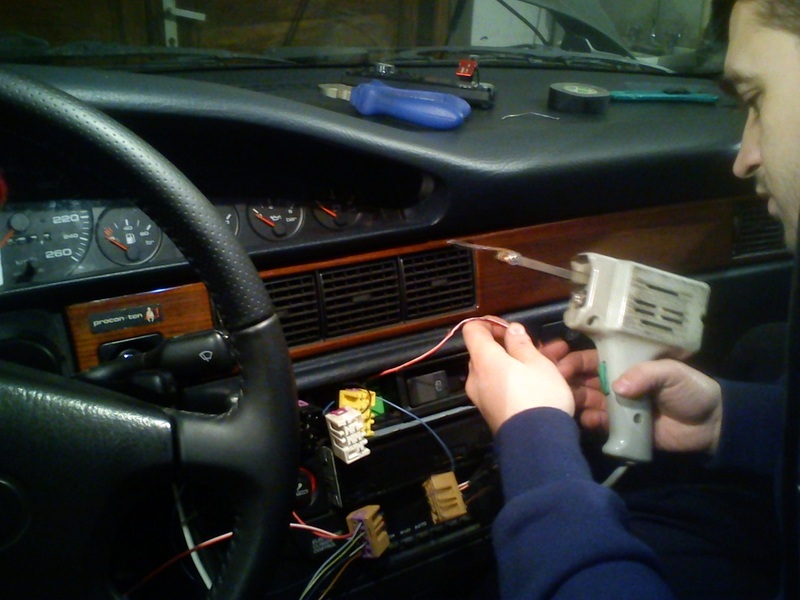 the NF can`t be diagnosed by using OBDII compatible devices, imo. You have to atatch a small diagnostic lamp and manually read it`s codes. Thanks to both for the answers. I used the led-method for diagnosis on the MC, and only once on the NF...after o short sprint in the country side and I got the 4444 When I connect the OBDII connector a get a "short to ground" error , so yeah, I will still use the LED in the future...I hoped I could read the errors more easily using a laptop. Through Turbaxel's site I found some links regarding the LED conversion for the IC. Aparrently,from the pics at least, using the white lights there will be brighter spots. I couldn't undestand from the auto-translate if those spots are only on camera and if in real life the brightness is more even(original text: "Die "ungleichmäßige Beleuchtung" liegt am Handy/Handyblitz, da der am Plexiglas reflektiert wird! ", pics in the two links at the end ). From what i could understand using the auto-translation is that using red LEDs will get better results and the light will be more even and the orange foil/paint can remain( it actually helps uniformize the brightness). its all over the cluster the same light. This was plug n play. 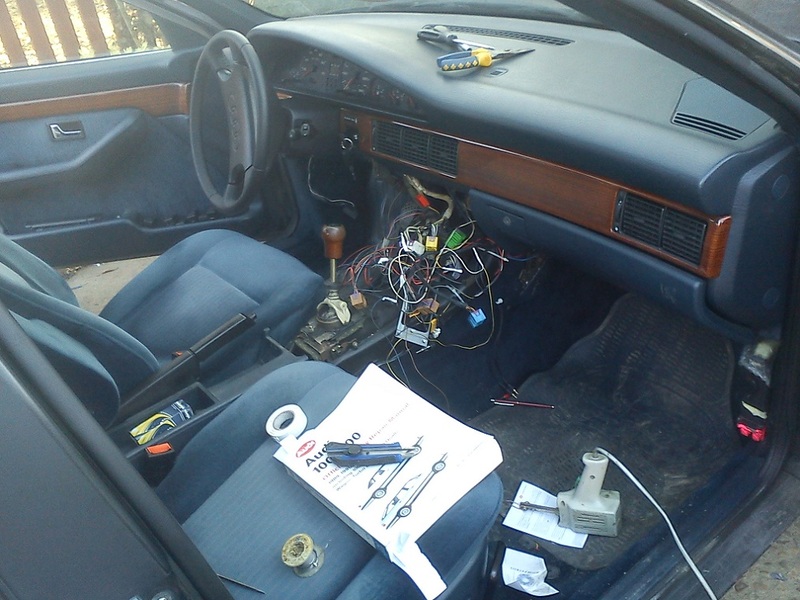 But this will have to wait a bit, I have the first problems with the car since I started using it daily. 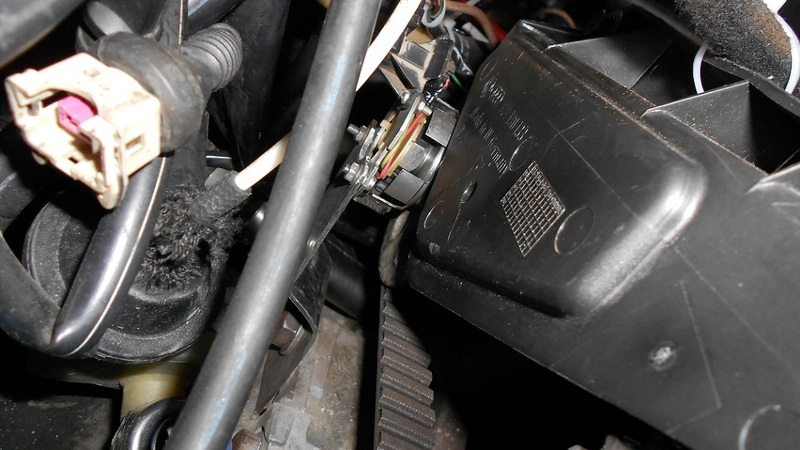 The coolant tank has a very very small leak, where the upper hose is connected to the tank. I think the crack was already there since i started using the car but I only noticed the leak 2days ago because the red water-warning-light came on, but the coolant level was still above the minimum mark from the tank and the engine didn't overheat. I unplugged the coolant level sensor -> the light is still on, just to be sure I put a short on the connector -> warning still on. The warning comes on after 10-15seconds after I start the engine(cold/hot engine doesn't matter).Apparently I need a new multi-function-temp sensor(the 3/4 pins one). Around town the coolant temp on the gauge gets close to 90degrees(I drive mostly around town), but outside town I noticed that the temp barely gets over 50degrees. I ordered the coolant tank, the MFT sensor and the thermostat but they will arrive only sometime next week, I hope this problems will be solved. And the final problem , it seems that the fuel gauge has a mind of its own. The needle was on the first redline and yestarday I ran out of fuel, the fuel warning light didn't came on(maybe because the coolant warning was on) and I'm pretty sure that when i refueled last time last week, the needle was way lower and I still had fuel and the fuel warning light did came on. On the bord computer it shows me that i can still do ~1000km with the fuel left in the tank . I guess I will have to take out from the fuel thank the fuel level sensor and measure it. I hope that the Instrument Cluster didn't went mad and it is the reason for the coolant warnings and for the fuel gauge "jokes". Talking about fuel, with the NF I get arround 8.5l/100km extra-urban and ~13l/100km urban, a bit of improvement over the 10l/100km extra-urban, 17-18l/100km urban with my previous TQ. Not bad for a +20years old car with aprox. 370.000km. 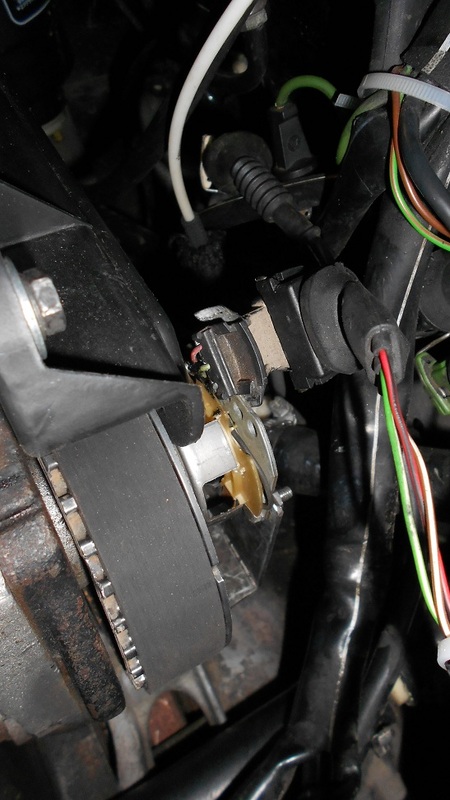 and the last one i thik is a cap for the potentiometer for adjusting the fuel gauge. 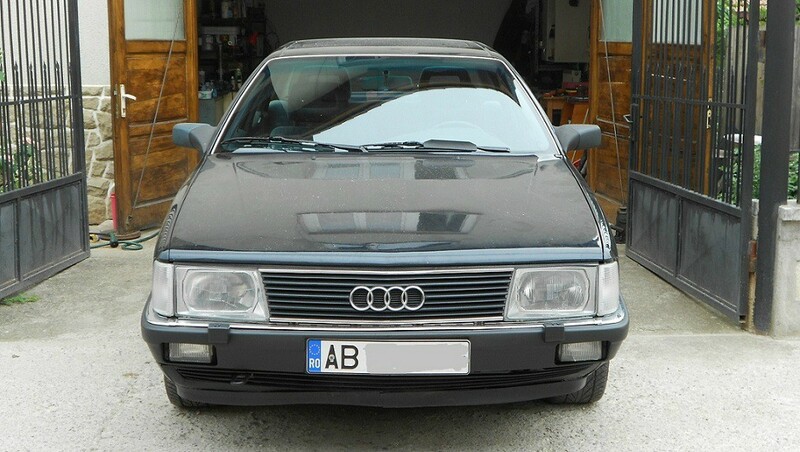 - Is the electric sunroof from the audi 80 B4 the same as the one from the 100 C3? 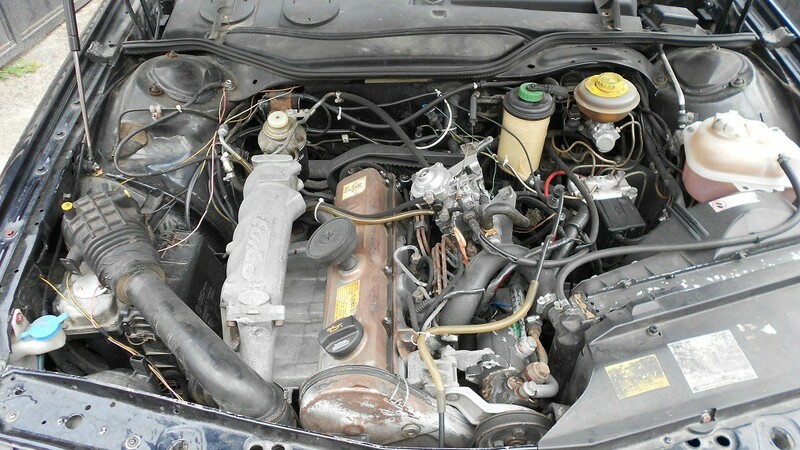 - I didn't found anything about this conversion on the C3 but I saw a similar conversion(manual to electric) on Golf3 and on some older Fords and Opels and in all cases it was a straight swap, did anyone around here did this retrofit? Any issue that I should be aware of? The main problem that I think of right now is powering the electric motor. i have another problem . 3 weeks ago i swapped the winter wheels with the summer ones. All was good until a couple of days ago, when with 5 persons in the car, the rear-left wheel arch was touching the tire sidewall. With 4 persons in the car the wheel arch touches only over bumps un the road. On the right side there was no problem of clearence, and on the left it would need only a couple of mm for the tire to clear the wheel arch. 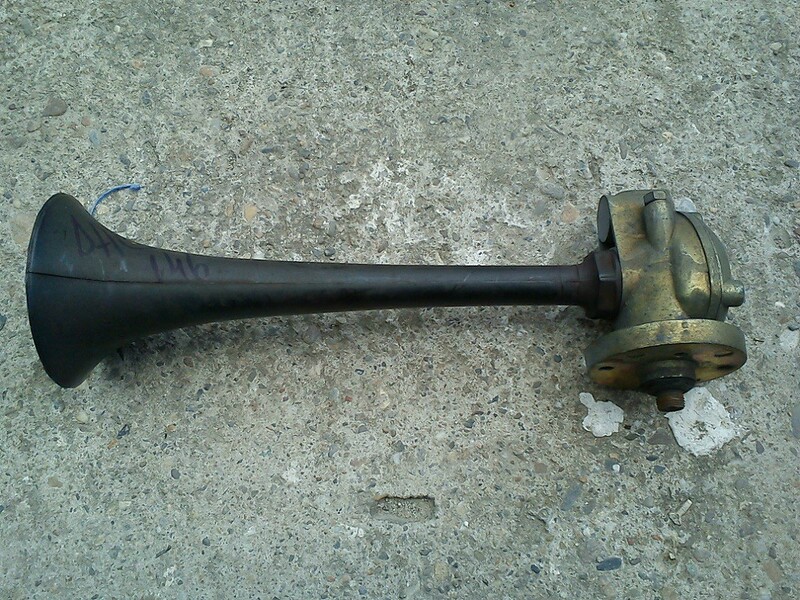 The rear axle seems a little ofsset to the left. Can this offset be because of worn rubber bushings? Can i make some adjustment to the suspension/rear axle to get the extre few mm need for clearance? The summer tires are 205/55/16 on 7.5jx16 ET38 rims, the winter tires are 205/55/16 on 7jx16 et37. For now I'm thinking to swap the tires on the rims. This will definetely solve the problem, but I would like to keep my summer tires on the current wheels. 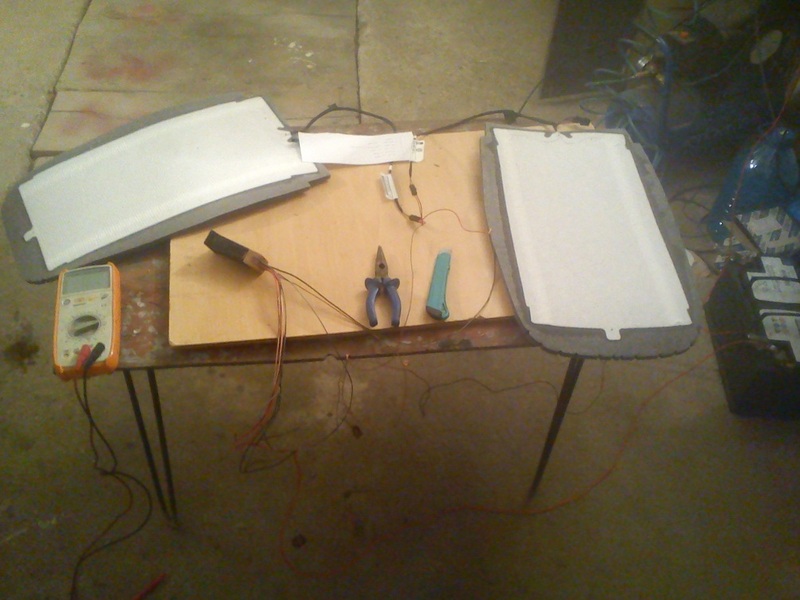 Other updates: converted sunroof from manual to electric, and replaced leaking servo-pump. it has a panhardstrut while the suspension cushions the rear axle moves sideways. 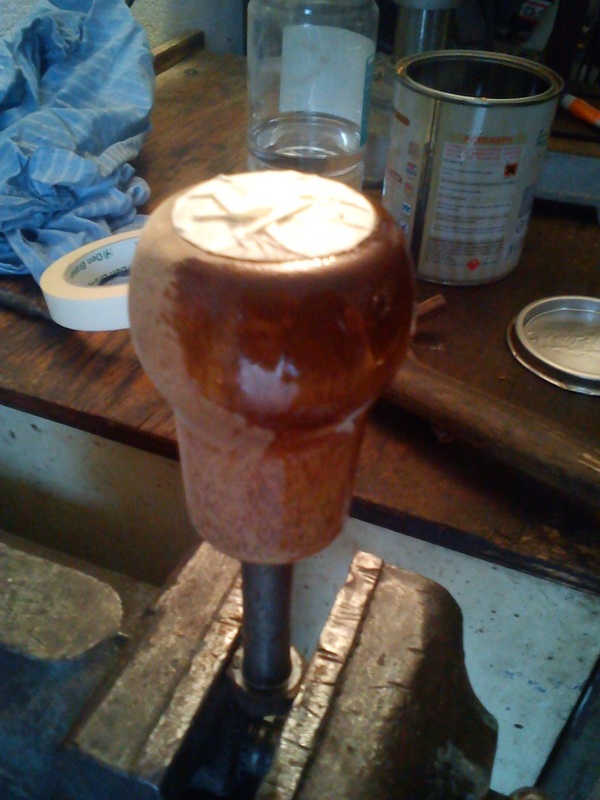 Of course the worn bushings supports this effect. I'm not using the car anymore because I bought a 2002 A3 1.8T, but the 100 is used now by my brother so is still in the family and taken care of and if I miss the typ44 I can just borrow it . New wheel or just new leather? So, I'm finally reviving this thread. Don't worry, the car has received numerous new upgrades. Hmmm... where should I start? It's next for the most important of 'em all. 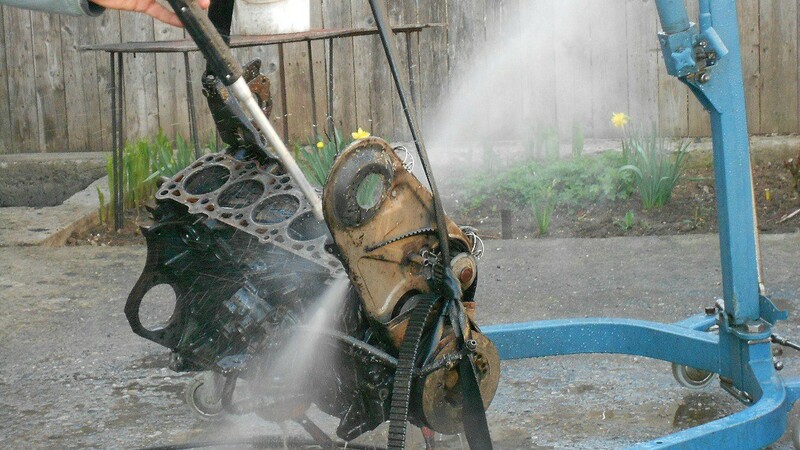 A new engine. 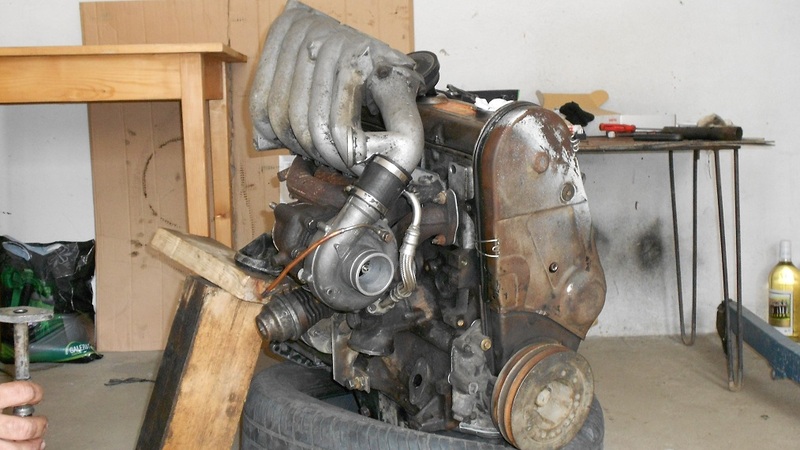 The old engine was removed because of high fuel consumption (14-15l/100km). 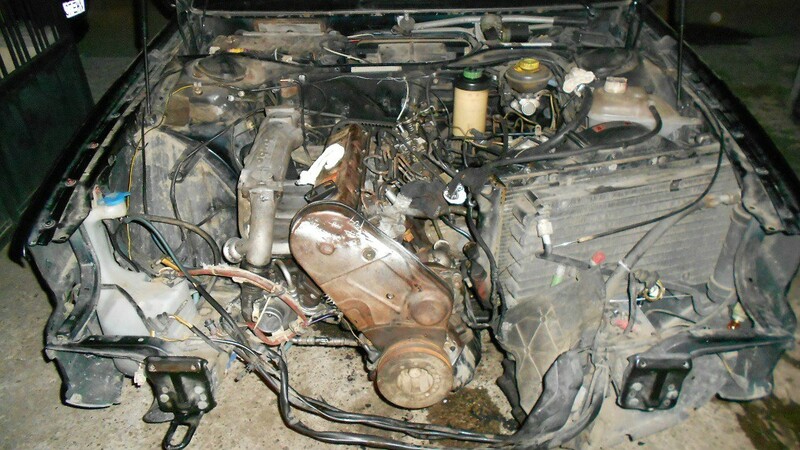 The new engine is a turbo diesel engine, engine code DE. 5 cylinders, 87 hp and an average fuel consumption of 8.5 l /100km It's almost HALF!! and for the pump to work only when it's neccessary, I also made a vacuum "sensor"
A few days ago, I painted the front bumper and installed a new windshield. It's a whole new world out there through this new windshield!! Ok, that was it with the pictures. Now, if I haven't bothered you already, I'd like to ask you guys a few things. First of all, I am desperately searching for a V8 tail light, but I don't want to spend hundreds of euros just for that. Anyone has any idea where I can buy one? Another thing I need is a gearbox. 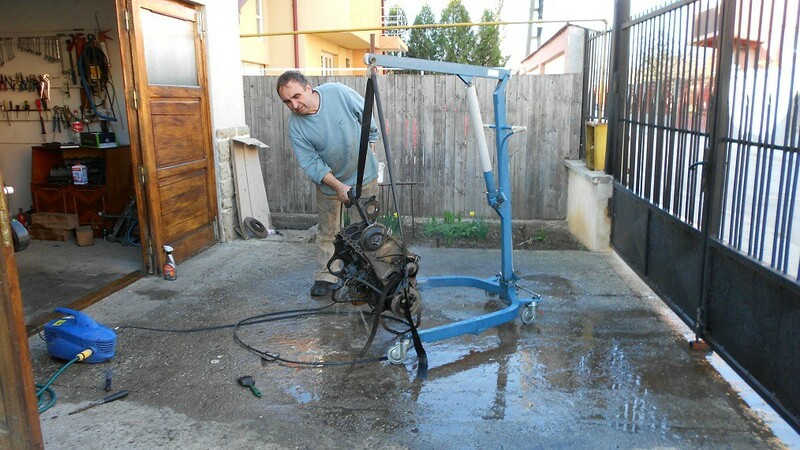 Currently I have a gasoline gearbox and at 90km\h I have 2400rpm and the engine is quite loud. I really need a diesel gearbox to lower that rpm's. Why do you use no air-cooler? 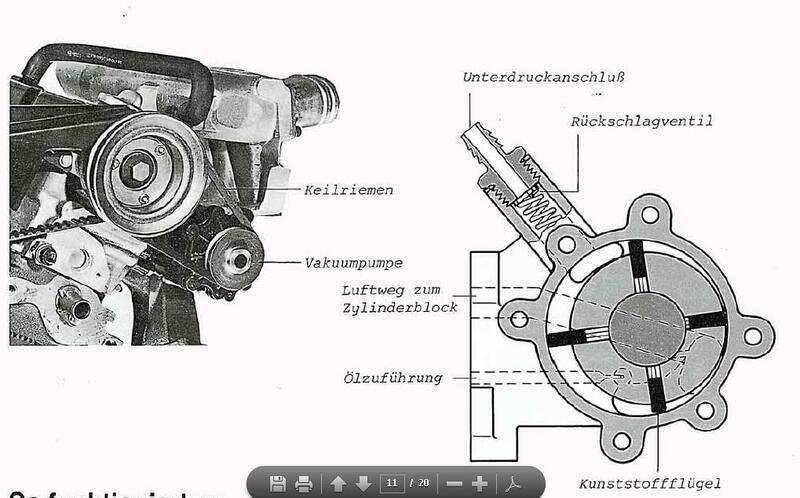 In the pdf you gave me, the engine is a diesel. I have a turbo diesel, which, from what I understood from others, have bigger air intake and it's impossible to adapt that vacuum pump. To be honest, I couldn't lay hands on one to see if I can fit it or not. I want to use an intercooler, but for now I don't have any cash. And the parts here in my country are very scarce and when I actually find one, they ask hundreds of euros, which in my opinion is overpriced. also, tou could use a vacuumpump from vw passat b5 - its a lot smaller , only thing you should have , is a vacuum reservuar, to have it enough before pump manages to generate it. 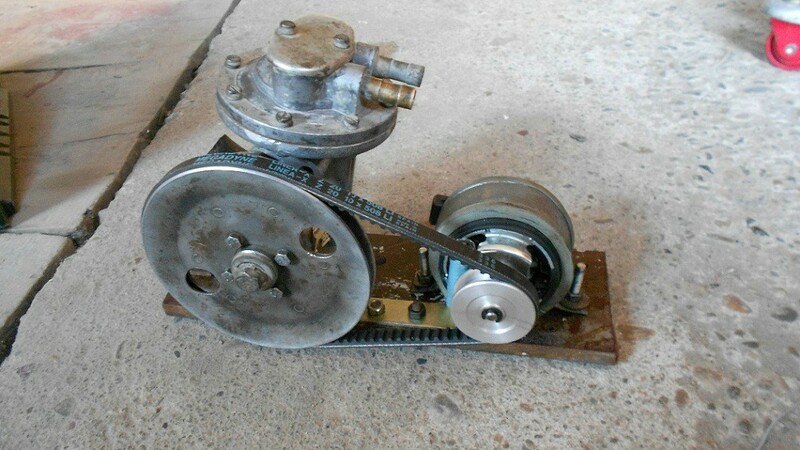 have you also put on vacuum powered brake sistem? and, really, colud maybe find a tdi engine - more horsepower and already has a vacuumpump on head. also has a ecu that allows to do some chiptuning.